I realize it’s not really the season for pumpkin recipes, but it’s kind of a dreary day and I felt like baking something. So, I started rustling around in my kitchen, looking for inspiration. Of course I had a single, over-ripe banana staring at me from my fruit bowl, and upon further investigation, I found a lonesome can of pumpkin purée lingering in my pantry. I decided to introduce the two, and this is what I came up with. Preheat oven to 350 degrees. Line muffin tins with paper liners. In a medium bowl, whisk together dry ingredients and set aside. Add dry ingredients to the wet mixture, and mix gently with a wooden spoon or rubber/silicon spatula. Don’t whisk! Don’t over-mix! Muffin batter is supposed to be kind of lumpy and unattractive. Just fold together until the flour is combined. Scoop batter into muffin tins. I used a large ice-cream scoop and filled them right to the top of the liners. 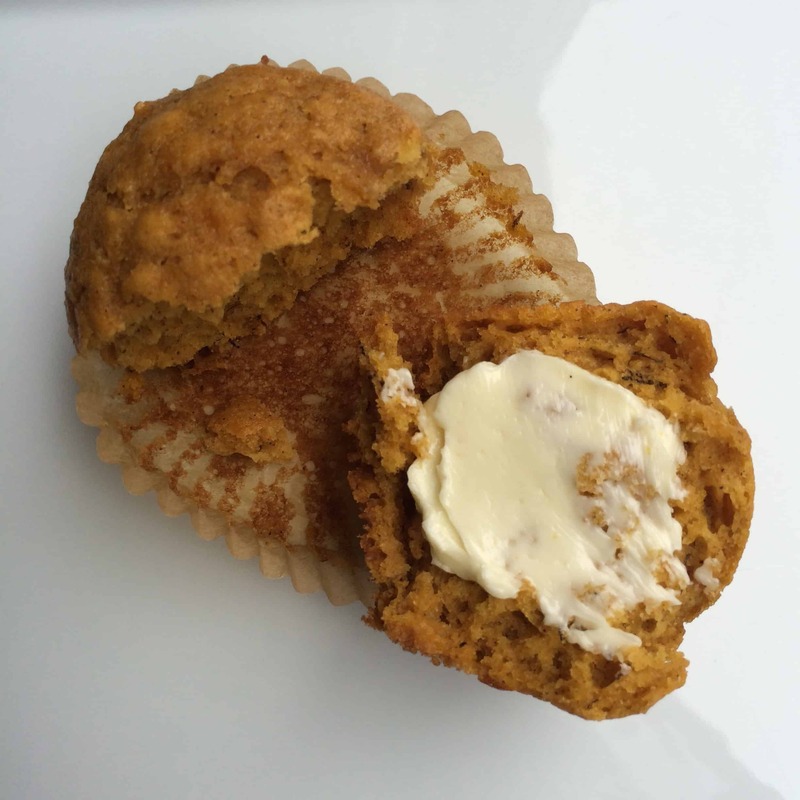 These look and sound amazing – I am going to have to try these – I love pumpkin and I love banana muffins – so this is definitely a win!